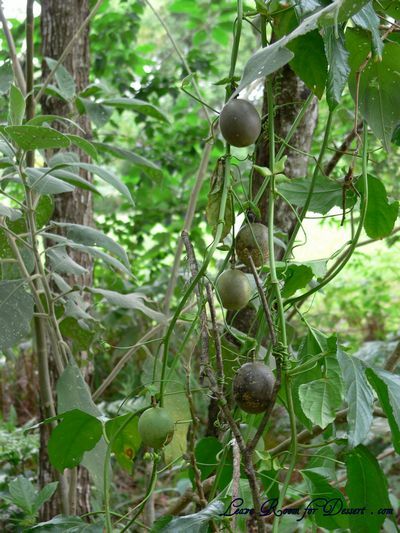 While at Nick’s parents, we discovered a few very healthy passionfruit vines which were growing wild. Being able to pick handfuls of passionfruit each morning was fantastic! With an excess of passionfruit (you won’t hear me complaining, or probably ever using the term ‘excess’ again, how can there be an excess of passionfruit?? ), Nick decided a passionfruit sorbet was on the menu and horded a container full of passionfruit to take home with us. This sorbet is very refreshing and the recipe can be used to make a lemon sherbet or sorbet as well (just process the rind of one lemon with the sugar and add ½ cup fresh lemon juice instead of the passionfruit pulp). 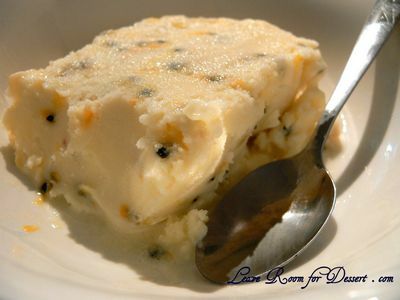 It is a little icy, not creamy, but this is nice on hot days or nights after work. Mix all ingredients together in a bowl. Stir well. 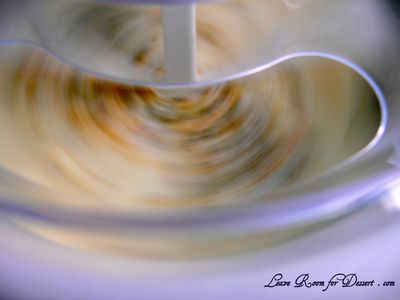 Place in an ice-cream maker and churn until mixture has formed a sorbet. Alternatively place in a sealed container in the fridge, stirring with a fork every hour. yum! Have you tried this recipe with any other fruit? I love passionfruit! I can’t get pure passionfruit here in SF, though. I wish! Could concentrate work and be as tasty as your beautiful sorbet looks?? It’s mouthwatering! Do you mean the passionfruit pulp you can get in a can (that’s all I’ve seen in the supermarket here)? I hope that would work, I don’t see why not, you may just have to adjust some of the sugar levels, although I’m sorry I haven’t tried that. 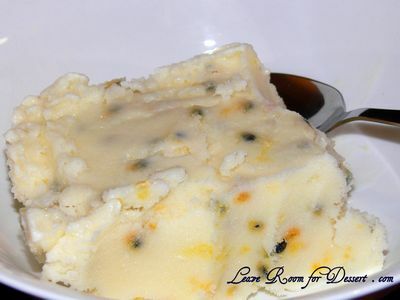 Gorgeous sorbet, I haven’t seen enough passion fruit recipes, glad to have stumbled upon this one :). Lucky lucky you! The sorbet looks fantastic! Hi Anita, thanks for the lovely comments on my blog. Love your passionfruit sorbet. I recently made some passionfruit ice-cream myself (I have been making so many macarons lately I have lots of egg yolks to use up! ), but the sorbet sounds deliciously light and refreshing. Very nice!